Apple’s latest product announcement regarding the new Watch’s ability to record ECGs and monitor heart rhythm for abnormalities leaves healthcare reporters salivating and clinical experts torn between guarded optimism and healthy skepticism. The device, which can also detect when a user has fallen and alert emergency services, will start at $400 when it debuts later this year. Cigna allocates $250 million for a new corporate venture fund that will target companies working in the areas of care delivery and management, digital health and retail, and insights and analytics. Cigna’s previous health IT investments include MDLive, Omada Health, and Cricket Health. OneOncology launches with a $200 million investment from General Atlantic and health IT support from Flatiron Health. Created by a partnership between Tennessee Oncology, New York Cancer & Blood Specialists, and West Cancer Center (TN), the company aims to offer oncology patients access to providers, treatments, and clinical trials typically unavailable in smaller, community-based settings. Former CVS Health EVP Tracy Bahl will serve as president and CEO. In the UK, Babylon Health will spend $100 million to double its workforce, aiming to hire 500 additional staff within the next nine months. The plan is part of the virtual consult company’s efforts to expand its chat bot symptom assessment technology to include chronic disease management for diabetes and depression. The company is perhaps best known for powering the NHS telemedicine app GP at Hand. Nuance and ChartWise top the list of CDI vendors driving the most tangible financial outcomes, according to a new KLAS report, while Iodine Software surpasses both when it comes to enabling efficient workflows. 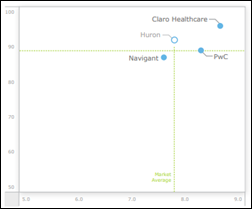 Third-party CDI firms like Claro Healthcare, Navigant, PwC, and Huron all score similarly on value and satisfaction. 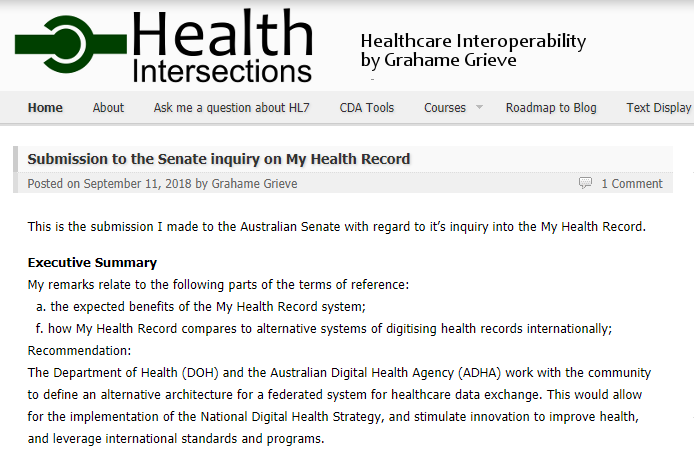 Akiri, a health data network spun out of AMA’s Health2047 business development and commercialization arm, names David Watson (The SSI Group) CEO. Caradigm co-founder Warren Ratliff joins Seattle Children’s Hospital analytics spin-off MDMetrix as CEO. Kermit Randa (Waystar) joins Kaufman Hall as CEO of its Software Division. Access appoints Davin Marceau (Success Group) COO and promotes Cody Strate to the new role of VP of strategy and innovation. Bristol Hospital (CT) selects ESO’s Health Data Exchange software for improved data-sharing between its ED and EMS agencies. San Luis Valley Health Regional Medical Center (CO) will implement FormFast’s FastPrint Enterprise and ESignature bundle. The North Carolina Health Information Exchange Authority rolls out subscription-based clinical event alerts to members of the NC HealthConnex HIE. 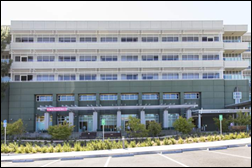 Marin General Hospital (CA) will install University of California San Francisco Health’s Epic software as part of a strategic alliance that includes co-branding and designating UCSF as its academic and teaching partner. 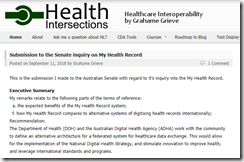 Regional West Health Services (NE) prepares to go live on Cerner Millenium this weekend. Mercy Technology Services develops a cloud-based imaging solution that comprises Visage’s imaging software, workflow technology from Medicalis, and speech recognition and reporting capabilities from Nuance. A survey of 109 providers finds that 68 percent have not yet developed a disaster preparedness plan, despite having experienced two such events within the last five years. All bets are off when it comes to securely communicating with hospitals during and after weather events: 25 percent of specialty providers have used unsecured text messaging to reach hospital staff, and 22 percent have used the same method to reach patients and their family members. Hospital-based respondents take secure messaging more seriously, perhaps because they already have resources in place: 44 percent believe secure messaging to be a key component of preparedness plans, surpassed only by the need for backup generators and extra supplies and medication. EClinicalWorks will exhibit at Health 2.0 September 16-19 in Santa Clara, CA. Formativ Health partners with Lyft to help get patients to medical appointments. Broadlawns Medical Center adds FormFast’s Go electronic document solution to its existing Capture software. Consulting Magazine ranks Impact Advisors third on its list of best small firms to work for. Hyland Healthcare collaborates with Change Healthcare to speed and simplify claim attachments for providers and payers. InterSystems adds a mobile, touchscreen-enabled user interface to its TrakCare health information system. Intelligent Medical Objects will exhibit at the 2018 OR Manager Conference September 17-19 in Nashville. Kyruus will present at the 2018 Tri-State Conference September 19-21 in Wisconsin Dells, WI. Join Meditech in signing the World Sepsis Declaration. TransUnion Healthcare announces its support of nonprofit RIP Medical Debt. Dimensional Insight publishes a new case study featuring Doctors Hospital in Puerto Rico. Voalte’s annual Vue user conference, set to take place October 3-5 in in Sarasota, FL, sells out for the first time. PatientKeeper and Medhost enter into a reseller agreement. Hayes Management Consulting hires Mark Rivero (Athenahealth) as director of client experience. EPSi partners with MPA Healthcare Solutions to offer customers risk-adjustment and clinical analytics. Mediware /Wellsky…marketing runs rampant again! Their PR states: “We stand at the forefront of innovation that will eliminate the fragmentation that exists in health and community care… By integrating its offerings under one brand, WellSky is better positioned to partner with providers and organizations to create and sustain communities that thrive. Please explain how re-branding under one new name really accomplices product integration for customers when their 30 diverse products hardly talk to one another?? They probably spent big bucks to come up with this new name. Would be better spent on developing code that really integrates their 30 disparate product lines. Whatever you brand it doesn’t matter, Wellsky is still a tornado of flotsam. Lofty goals considering their current product disasters.